Born and raised in Munich, Barbara began playing the organ at age 11. In a fortunate twist of fate, her instructor was himself a jazz loving Hammond B3 player who used his foot pedals. Barbara’s parents were jazz lover, and Barbara seemed to naturally absorb their sophisticated tastes. She was particularly drawn to Charlie Parker and Bebop in general. She seems to have inherited her creativity from her father Hans, himself a painter with a flair for color. 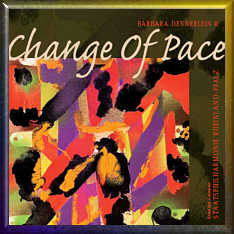 On her most recent CD, “Change of Pace”, a live recording with a symphony orchestra, Barbara surprised her father by using his artwork on the cover. Barbara took lessons for a year and a half and afterwards was essentially self taught. At 15 she caused quite a stir around the jazz scene in Munich when she played three sets a night at a well known jazz club. Barbara finished high school, but continued performing at every opportunity during school breaks. She formed a quintet (organ, alto and tenor saxophone, trombone and drums.) Despite all the buzz in the clubs, the record labels weren’t interested in a young German girl playing American music on an instrument nearly twice her age. Undaunted, Barbara formed her own label, BEBAB, when she was only 21. This was a pivotal decision which was rewarded – literally. She received a prestigious award by the association of German music critics and the LP did quite well in Germany. Suddenly labels were interested and Barbara was able to do a stunning recording entitled “Tribute to Charlie” on the Koala label with a big band. This recording appeals to me on several levels. Despite the big band, the arrangements are such that the B3 is backed up and augmented, and as with the many great Jimmy Smith/Oliver Nelson productions, the B3 is front and center and not simply one among many. 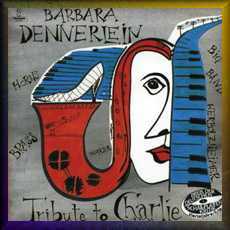 Generally Barbara prefers to record her own compositions, but on this recording she does six numbers by Charlie Parker, one by Charles Mingus, and three of her own. It’s quite an accomplishment for a 23 year old. Here’s a video clip of her doing the title track in a trio formation. Around this time Barbara also began appearing often on German television, first on some regional shows and then on national TV. She soon signed with the Enja label and produced three successful CDs, the beginning of her long term work with Mitch Watkins, guitar and Ray Anderson, trombone. 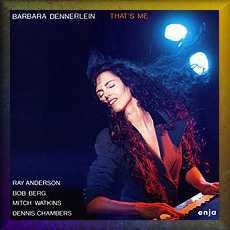 In 1988 the Enja contract brought Barbara together with prominent American jazz musicians in the recording studio. She could have chosen “No Compromises” as the title for this CD. Rather than opting for the ever popular sound of the sax, Barbara consciously went with a trombone instead. Not a problem for serious jazz fans, but it severely diminished the crossover appeal of this recording. Barbara is a great admirer of Ray Anderson, who won the Downbeat Critics Poll five years in a row for his trombone playing. Barbara has spoken often in interviews of his creativity and unique voice-like style. 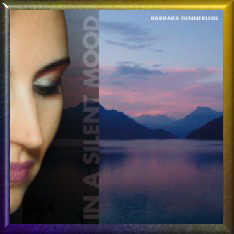 Indeed, she gave him extensive space on this CD to explore and express his ideas. 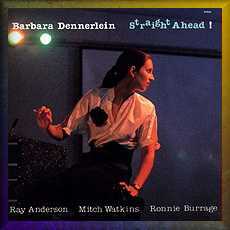 Almost without exaggeration, this could be considered a Ray Anderson CD featuring Barbara Dennerlein. That makes it a “must have” for Ray Anderson fans and very interesting for serious jazz aficionados. His boisterous experimental style is an acquired taste – it’s been nineteen years and I’m still not quite there. Kidding aside, his soft melodic playing is beautiful and his sense of harmony is ingenious – on these type pieces he is a true asset. And his “talking” solo on “All that Blues” is impressive and remarkably original. However, his loud power solos, while impressive and original from a technical standpoint, demonstrate why the saxophone has become so ubiquitous as a solo instrument and the trombone so rare. 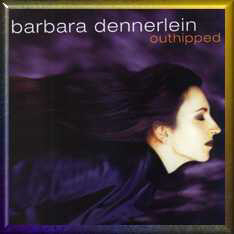 Six months after the first Enja CD she went back into the studio and recorded “Barbara Dennerlein Plays Classics.” From listening to it, one might guess that it was recorded years before “Straight Ahead” instead of six months afterwards. Naturally Barbara’s playing is exceptional, that’s pretty much a given, but it seems like this CD was driven by a desire to appeal to a certain segment of listeners who prefer standards over more demanding original music. “Yesterday”, “Satin Doll”, “Take the A Train”, “Night & Day” – this is a CD I would recommend to pre-baby boomers and serious Dennerlein fans. In 1989 a live TV concert was also released on Barbara’s Bebab label as an audio CD. In 1990 the first CD with real crossover appeal was released – “Hot Stuff.” No trombone this time, instead Barbara enlisted the talent of Andy Sheppard, a great UK tenor sax player, the equally talented Mitch Watkins, and Mark Mondesir keeping a sophisticated and funky beat on drums. With this CD Barbara introduced some technical innovations to her B3 and got some grief from B3 purists. Because she generally plays bass with her footpedals, she became intrigued by the possibilities of digital sampling. She was interested in coming closer to the sound of a contra bass. So using midi technology and sampling (recording) the individual notes of an upright bass, she was able to re-create the bass sound on her foot pedals. After grasping the technology, she took the next logical step and integrated midi technology directly into her 50 year old Hammond B3. The synthesizer opened up sound possibilities and she took full advantage. This CD appears to have caught the ears of music critics in America as she won the Downbeat Critics Poll in 1990 and 1991. 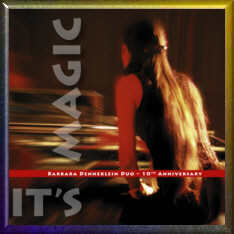 In 1992 Barbara also released a CD “Solo” taken from concert performances. And in 1993 she won the Downbeat Critics Poll again. In 1995 Barbara was signed by Verve and she released the first of three CDs for them. A big budget, the crème de la crème of jazz musicians, and recording in the Big Apple mark a turning point in Barbara’s career. TAKE OFF took off literally, it was the top jazz CD of the year in Germany and won several major awards. And in 1996 she again won the Downbeat critics poll. In 1997 Verve released Junkanoo. 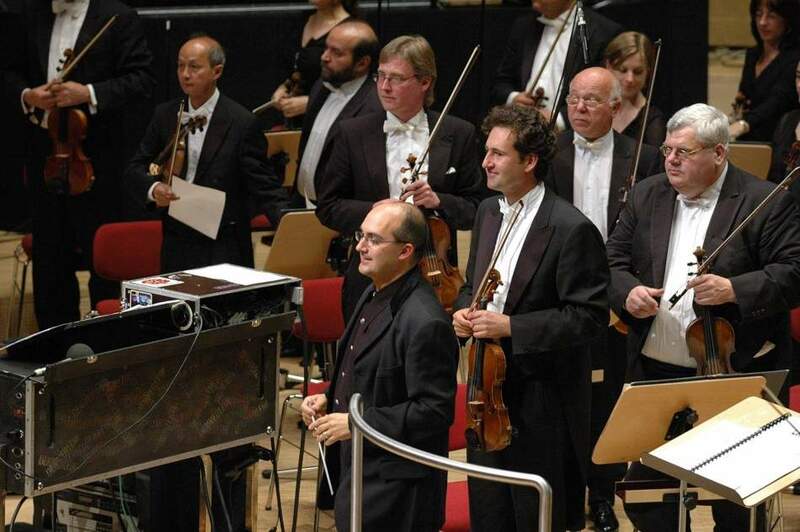 She was awarded a Culture prize by the Bavarian government and won the Downbeat Critics Poll again in 1998. In 1999 the third and final Verve recording was released, “OUTHIPPED.” One aspect of the three Verve recordings which differentiate Barbara’s approach from Jimmy Smith is her work in composing and arranging. Some of her best compositional work appears on the Verve recordings. Perhaps to the frustration of some fans, she is willing to put her own playing in the background and rely on other instruments to achieve the artistic result she seeks as a composer. On a Jimmy Smith recording, he was showcased, Barbara is a prominent, but not a dominating presence on many tracks. Although Barbara is driven as an artist, she is also very rooted to her family and her life in Munich. If she had the same drive with regard to her career that she has with respect to her music, she probably would have moved to New York when she signed with Verve. She could have toured extensively in America and taken the standard publicity route. Moreover, given her musical skills, versatility, and reading ability she would have been a sought after session player, thus gaining wider exposure. With her physical appearance and charming personality she would have been a natural for the American market. But commercial success was not her primary motivation. Her decision to live and tour primarily in Europe is the reason that she is not as well known in America as one would expect. Although Germany is a rather small pond in comparison to America, the German speaking countries in Europe (Germany, Austria, Luxembourg, Switzerland, and Northern Italy) represent about 100 million people. On top of that, in comparison to America it is a compact area. Thus, in terms of jazz she is a fairly large fish in a medium sized pond, and she appears regularly on television and radio around Europe. In addition, she took up the challenge of playing the church pipe organ and now performs regularly around Europe on pipe organs. This has some great advantages – she doesn’t need to transport a Hammond B3 or engage a band, and Europe is full of towns and cities with church organs. So she can live in Munich and remain close to her family without being away from home on extended tours – she can pick and choose when and where she wants to play. Finally, having her own label and a loyal fan base means that she can also retain total artistic control of her music. Piano players routinely have trios with a bass player and drums. Because of her extraordinary pedal technique Barbara is able to perform as a duo with essentially the sound of a trio. 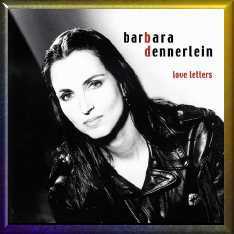 “LOVE LETTERS”, released in 2001 on her Bebab label is an especially good recording. 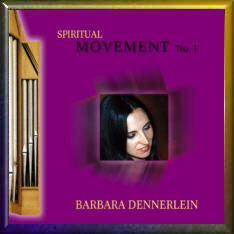 In 2002 this studio recording was followed by SPIRITUAL MOVEMENT, recorded in a church on a pipe organ. Barbara has also done some interesting work with other organists. For example, here is a short clip from an 18 minute performance in a church. Barbara is playing the Hammond B3 in a duet with a church pipe organist. In this clip she is doing a jazz improv on J.S. Bach’s Toccata & Fuge in d-moll. Here’s a rare treat, two of the world’s premiere Hammond players on stage together – Barbara Dennerlein and Rhoda Scott. Because it is Rhoda’s composition, she plays the bass pedals on this one. I’ll leave you with this last clip, from 2000 in Switzerland when Barbara opened for Ray Charles.